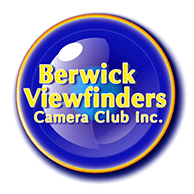 Berwick Viewfinders Camera Club Inc. New Members Pack - Berwick Viewfinders Camera Club Inc. The new members pack contains introductory information to help a member get started in the club. It contains a welcome with information about competitions, fees, contacts, helping the club, the committee, and a membership form.